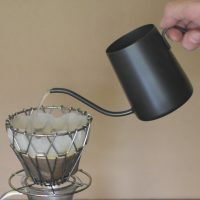 Posts about coffee beans, buying coffee/equipment or making coffee. 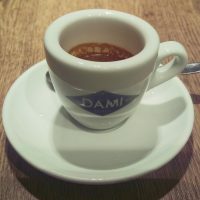 Welcome to the first of my detailed write-ups of the 2019 London Coffee Festival, which took place two weeks ago at the Old Truman Brewery. 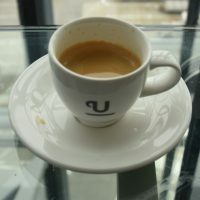 The focus of today’s write-up is the coffee itself, which I normally leave until last. However, since I’m travelling at the moment, I’m writing this one first, leaving the more detailed write-ups until later. These will include topics such as equipment and coffee experiences. For details about the festival itself, try my Festival Round-up, which I published last week. 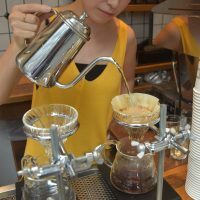 This was my seventh London Coffee Festival and while I was more focused on the coffee in previous years, recently my interest has moved to other areas. 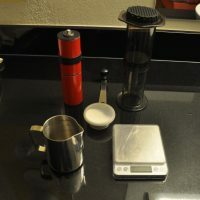 This is partly because there’s only so much coffee I can drink in a few days and partly because my coffee knowledge has expanded over the years. Whereas I would, in years past, want to try as much coffee as possible, these days I’m more interested in chatting with the roasters! That said, there was some interesting coffee to be had this year, from roasters both old and new. 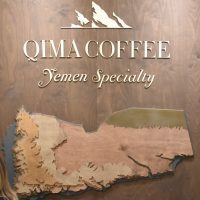 There were also two standouts, one featuring coffee from Yemen, where it all began, and the other an amazing Geisha. Welcome to the third and final part of my detailed write-ups from the third Glasgow Coffee Festival, which took place earlier this year. In Part I, I looked at the venue itself, the wonderful, soaring hall that is the Briggait, before continuing with a round-up of those exhibitors who had travelled from outside of Scotland to attend. I followed that in Part II with arguably the person who’d travelled the furthest to attend the festival: me! I’d just come back from Japan and brought loads of coffee with me. Using the coffee, we held a Japanese coffee cupping on the last day of the festival. In Part III, I’m looking at everything else that I got up to at the festival. This includes a round-up of Scottish coffee shops and roasters at the festival, including plenty of old friends and several new ones. There’s also a look at various bits of kit, including tampers, grinders and a shiny espresso machine. And, of course, it wouldn’t be a coffee festival without lots of glorious food! As usual, there was never enough time to see everyone and visit all the stands, so if I have missed anyone out, I apologise. Fast-forward two weeks and there I am in Tokyo, thinking that I really should get do something about my rather spur-of-the-moment agreement to Lisa’s proposal. 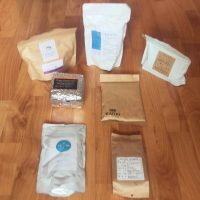 Fortunately, I’d just embarked on a week’s travelling around Japan, so was able to pick up a rather eclectic mix of Japanese-roasted coffee. On Thursday evening, I was fortunate enough to be invited to Leyas to attend the launch of Coffee Break Delirium, a display of artwork by the wonderful Timothy Shaw which will be hanging in Leyas for the rest of the month. The event also doubled as a launch for Assembly, the new roasters/coffee collaboration, who over two new coffees for us to try. Leyas, as part of its regular roaster rotation, will be switching over to Assembly this month, so you can try the coffee first-hand if you want. You may have come across the work of Tim when he graced the cover of Issue 4 of Caffeine Magazine (which some still consider to the best front cover). He also drew the amazing illustration on the counter at White Mulberries, while his work has graced several other coffee shops. 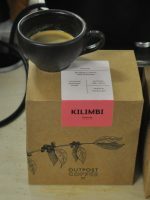 Assembly, which launched at this year’s London Coffee Festival, is a collaboration between the roaster Volcano Coffee Works and various leading figures in the coffee industry. Assembly was represented by Michael, who I knew from his time with Dunne Frankowski at Sharps, and Nick, who does all the quality testing. They had with them two new coffees from Kenya and Nicaragua.